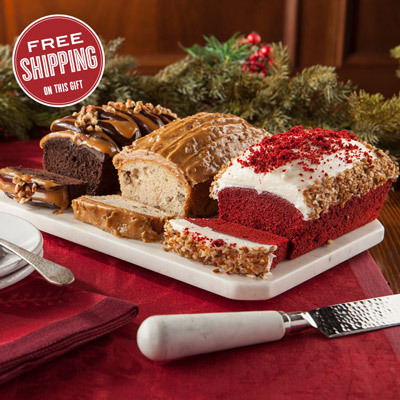 Make Their Day Even Sweeter. 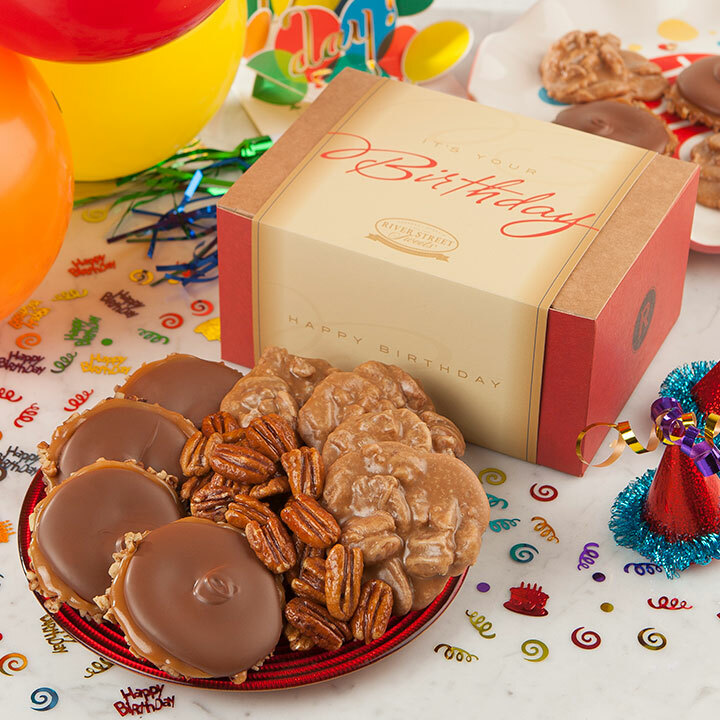 Show them how special they are with our festive birthday box filled with our signature items. 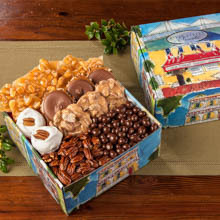 This box contains half each, of our World Famous Pralines and Milk Chocolate Bear Claws. So fresh and delicious! My daughter was quite surprised on her birthday. Will order again. Thank you! Bought a Birthday Box for my daughter. She was surprised and extremely happy to have gotten the Pralines and Bear Claws as a present. 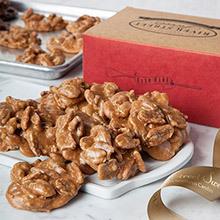 I first tasted the pralines when we were offered a sample at the Myrtle Beach location. Of course I had to buy some. 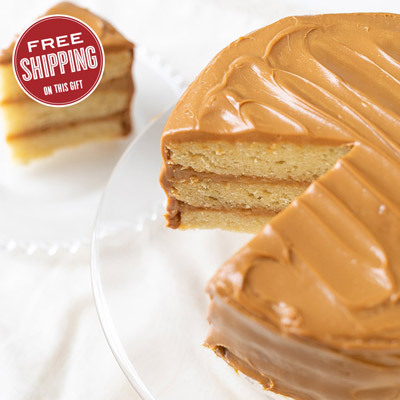 The deliciousness melts in your mouth and makes you smile. 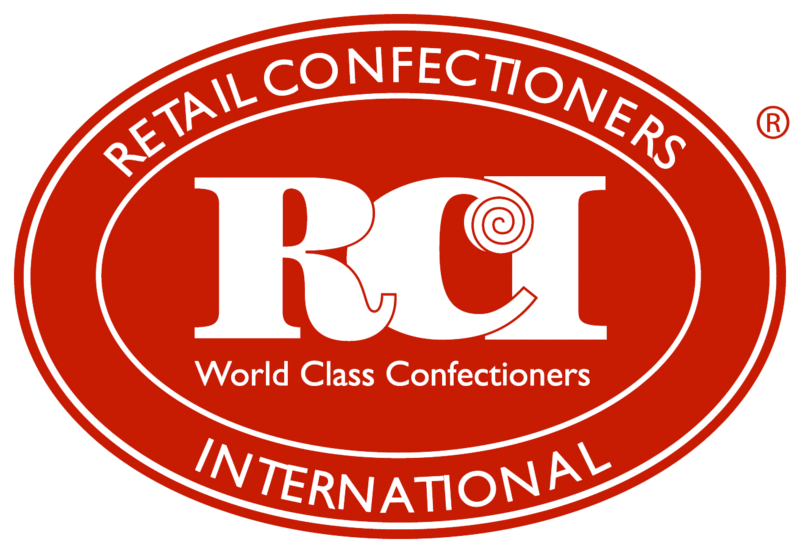 We also bought the chocolate cashews, also good. I sent pralines and bear claws as a gift and the recipient was estatic. My husband loves the pralines and bear claws. 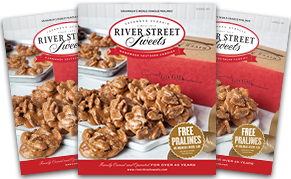 We also enjoy sharing River Street sweets with our friends and family. 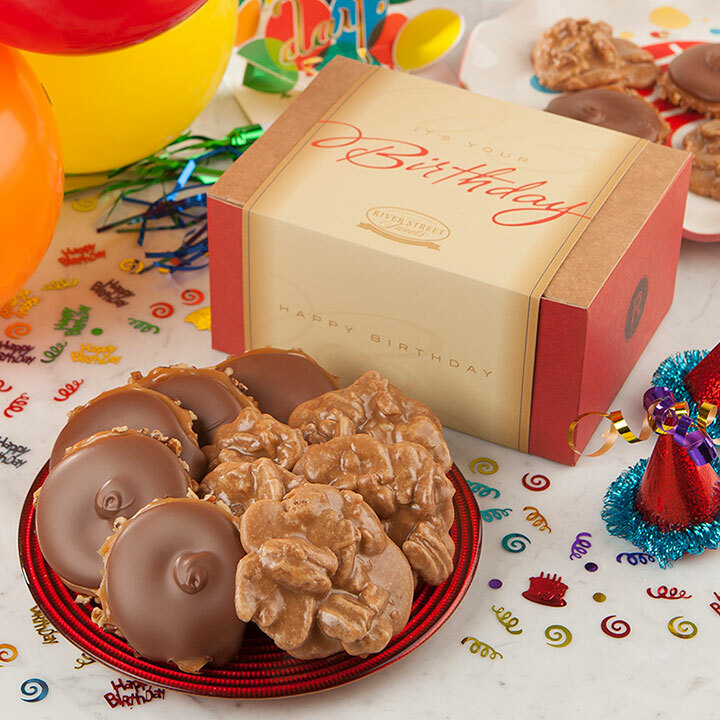 The box of pralines and bear claws was a birthday present for my son. He enjoyed it. The product was awesome as usual.